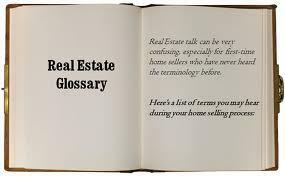 Find what you need to know about real estate terms and definitions in this online, free Real Estate Glossary - Dennis Paradis, Realtor, RE/MAX Hallmark York Group Realty, Ltd.
Abstract (Of Title) - A summary of the public records relating to the title to a particular piece of land. A lawyer or title insurance company reviews an abstract of title to determine whether there are any title defects which must be cleared before a buyer can purchase clear, marketable, and insurable title. Acceleration Clause - Condition in a mortgage that may require the balance of the loan to become due and payable immediately, if regular mortgage payments are not made or for a breach of other conditions of the mortgage. Adjustments - On the Day of Completion or Closing Day (the day your lawyer gives you the keys to your new home) there are closing costs to be paid. Adjustments are one item among many that your lawyer will itemize for you - some are paid by you some are paid to you by the Seller. Examples of these costs include, seller has pre-paid taxes that cover a period of your ownership - you will need to pay these back as an adjustment. Any other pre-paid expense will work the same way. If the seller has collected rent in advance from an existing tenant, you will be credited (paid) this amount back as an adjustment. The buyer pays for adjustments (eg; taxes) starting from closing day on. Agency - An important concept for buyers and sellers to understand. Sellers come into agency by signing the Listing Agreement. Buyers sign a Buyer Agency Agreement. These agreements hold the Brokerage and their Sales Representives (aka Agents) to a higher level of service (fiduciary duties) much like the relationship between a lawyer or doctor has with his clients/patients. The duties include putting the client's best interest first, confidentiality, obedience and competence. See Agency Explained for more details. Agreement for Sale - An agreement to purchase real property wherein the seller retains title to the property while permitting the buyer to occuy the premises without becoming the owner. Infrequently used and not to be confused with the Agreement of Purchase and Sale (see below). Used when the buyer has little or no downpayment or the seller cannot discharge the current mortgage for a specified period of time. The agreement will have clauses that state what conditions need to be satified to have title pass to the buyer. Agreement of Purchase and Sale - Known by various names, such as contract of purchase, purchase agreement, or sales agreement according to location or jurisdiction. A contract in which a seller agrees to sell and a buyer agrees to buy, under certain specific terms and conditions spelled out in writing and signed by both parties and witnessed by a third party. A.K.A. – “Also Known As” - as in, semi-detached a.k.a. “semi“. Amortization - A payment plan that enables the borrower to reduce his debt gradually through periodic (e.g. ; monthly) payments of principal and interest.. Appraised Value - An opinion of value reached by an appraiser based upon knowledge, experience, and a study of pertinent data. Appraiser - A person qualified by education, training, and experience to estimate the value of real and personal property. Appreciation - An increase in value; the opposite of depreciation. Assessment - The process of placing a value on property for the strict purpose of taxation. This may also refer to a levy against property for a special purpose, such as a sewer assessment. Assumption of Mortgage - Seller's may allow a buyer to “assume“ their existing mortgage. This require the consent of the lender (mortgagee) and the buyer will need to be credit worthy. The buyer if approved becomes fully responsible for payments. This is an attractive feature if the seller's mortgage rate is below current market rates. The buyer may save appraisal fees, some legal costs and survey costs. The seller may save any payout penalties or interest differential. The seller may want to consider a transfer of the mortgage instead of giving it up if moving to a new property requiring a mortgage. Balloon Mortgage - A mortgage with periodic installments of principal and interest that do not fully amortize the loan. The balance of the mortgage is due in a lump sum at the end of the term. Balloon Payment - The unpaid principal amount of a mortgagee or other long-term loan due at a certain date in he future, usually the amount that must be paid in a lump sum at the end of the term. Basis Point - A basis point is one hundredth of a percentage or .01% therefore 0.5% would be 50 basis points. Binder Insurance - A written evidence of temporary hazard or title coverage that only runs for a limited time and must be replaced by a permanent policy. Borrower - One who receives funds with the expressed or implied intention of repaying the loan. Building Line or Setback - Distances from the ends and/or sides of the lot beyond which construction may not extend. The building line may be established by a filed plan of subdivision, by restrictive covenants in deeds or leases, by building codes, or by zoning ordinances. Canada Mortgage and Housing Corporation (CMHC) - The housing agency for federal Government of Canada. Its main activity is the insuring of residential high ratio mortgage loans made by private lenders. CMHC does not lend money. Caps - A limitation on the interest rate increase of either the periodic or lifetime rate or both for an adjustable rate mortgage. Certificate Of Occupancy (CO) - Written authorization given by a local municipality that allows a newly-completed or substantially-completed structure to be inhabited. The issuing of a CO means that: the home is SAFE, SOUND & SANITARY, and has matched the PLANS & SPECIFICATIONS given to the Appraiser at the beginning of the Loan Process. Certificate of Title - A certificate issued by a title company or a written opinion rendered by a lawyer that the seller has good marketable and insurable title to the property which he is offering for sale. A certificate of title offers no protection against any hidden defects in the title which an examination of the records could not reveal. The issuer of a certificate of title is liable only for damages due to negligence. The protection offered a homeowner under a certificate of title is not as great as that offered in a title insurance policy. Closing or Close of Escrow - The day on which the formalities of a real estate sale are concluded. The certificate of title, abstract, and deed are generally prepared for the closing by a lawyer and this cost charged to the buyer. The buyer signs the mortgage, and closing costs are paid. The final closing merely confirms the original agreement reached in the agreement of purchase and sale. The Agreement of Purchase and Sale negotiated previously between the buyer and the seller may state in writing who will pay each of the above costs. Cloud (On Title) - An outstanding claim or encumbrance which adversely affects the marketability of title. Comparative Market Analysis a.k.a. CMA - An analysis made by the listing agent to assist the seller in comparing the property with others similar to it (size, features, location) that have recently sold in order to establish a listing price. This is not an appraisal to establish market value. Commission - Money paid to a real estate agent or broker by the seller as compensation for finding a buyer and completing the sale. Usually it is a percentage of the sale price but may be a flat fee but never both. Condemnation - The taking of private property for public use by a government, against the will of the owner, but with payment of just compensation under the government's power of eminent domain. Condemnation may also be a determination by a governmental agency that a particular building is unsafe or unfit for use. Condominium - Individual ownership of a dwelling unit (inside the walls) and a shared interest in the common areas and facilities which serve the multi-unit project. Contractor - In the construction industry, a contractor is one who contracts to erect homes, buildings or portions of them. There are also contractors for each phase of construction: heating, electrical, plumbing, air conditioning, road building, sewers and others. The term sub-contractor is often used to refer to the fact that these contractors work under the project control of a general contractor (“the builder”). Conventional Mortgage - A mortgage loan not insured by CMHC or GE Capital. It is subject to conditions established by the lending institution and provincial and federal statutes. The mortgage rates may vary with different institutions and between provinces. The Loan to Value is 75% or less. Higher ratio mortgages are for loan to value above 75%. Borrowing (Loan) $70,000 on a home worth (Value) $100,000 (ratio = 70%) would be a conventional mortgage. Conveyance – The transfer of an interest in property from one party to another; the means or medium by which legal title to property is transferred. A conveyance is recorded by transfer form that is registered in the registry or land titles office. Procedures and forms will vary by province. Cooperative Housing (a.k.a Co-op) - An apartment building or a group of dwellings owned by a corporation, the stockholders of which are the residents of the dwellings. It is operated for their benefit by their elected board of directors. In a cooperative, the corporation or association owns title to the real estate. A resident purchases stock in the corporation which entitles the resident to occupy a unit in the building or property owned by the cooperative. While the resident does not own the unit, the resident has an absolute right to occupy the unit for as long as the resident owns the stock. Co-signer - A person who signs a legal instrument and therefore becomes individually and jointly liable for repayment or performance of an obligation. Credit Report - A report to a prospective lender on the credit standing of a prospective borrower or tenant. Used to help determine credit worthiness. Rules and guidelines are set out in the Consumer Protection Act in Canada. Deed - A formal written instrument by which title to real property is transferred from one owner to another. The deed should contain an accurate description of the property being conveyed, should be signed and witnessed according to the laws of the Province where the property is located, and should be delivered to the purchaser at closing day. There are two parties to a deed: the grantor and the grantee. See also general warranty deed, quitclaim deed, and special warranty deed. Default - Failure to make mortgage payments as agreed to in a commitment based on the terms and at the designated time set forth in the mortgage or deed of trust. It is the mortgagor's responsibility to remember the due date and send the payment prior to the due date, not after. Generally, thirty days after the due date if payment is not received, the mortgage is in default. In the event of default, the mortgage may give the lender the right to accelerate payments, and start foreclosure. Defaults may also come about by the failure to observe other conditions in the mortgage or deed of trust. Depreciation - Decline in value of a house due to wear and tear, adverse changes in the neighborhood, or any other reason. Deposit (a.k.a Earnest Money) - The amount of money to be paid by the purchaser to the seller upon the signing of the agreement of purchase and sale. The agreement will refer to the deposit amount and will acknowledge receipt of this amount. The deposit is held in trust by the Listing Broker or seller’s lawyer. The deposit may not be refundable if the purchaser fails to buy the property without good cause. If the purchaser wants the deposit to be refundable, they should insert a clause in the agreement specifying the conditions under which the deposit will be refunded, if the agreement does not already contain such clause. If the seller cannot deliver good title, the agreement usually requires the seller to return the deposit. Downpayment – The amount the mortgagor (the borrower) wishes to pay against the value of the property and reduce the mortgage (loan) amount. See Mortgage. Not to be confused with Deposit (see above). Draw System - Scheduled payment of money to a builder during the phases of home construction. Between each draw, the appraiser must inspect the home to ensure that construction is proceeding as planned. Due-on-Sale Clause - A type of acceleration clause, calling for a debt under a mortgage or deed of trust to be due in its entirety upon transfer of ownership of the secured property. Earnest Money a.k.a Deposit , See Deposit above. Easement Rights - A right-of-way granted to a person or company authorizing access to or over the owner's land. An electric company obtaining a right-of-way across private property is a common example. Eminent Domain - The right of a government to take private property for public use upon payment of its fair value. Encroachment - An obstruction, building, or part of a building that intrudes beyond a legal boundary onto neighboring private or public land, or a building extending beyond the building line. Encumbrance - A legal right or interest in land that affects a good or clear title, and diminishes the land's value. It can take numerous forms, such as zoning ordinances, easement rights, claims, mortgages, liens, charges, a pending legal action, unpaid taxes, or restrictive covenants. An encumbrance does not legally prevent transfer of the property to another. A title search is all that is usually done to reveal the existence of such encumbrances, and it is up to the buyer to determine whether he wants to purchase with the encumbrance, or what can be done to remove it. Equity - The value of a homeowner's unencumbered interest in real estate. Equity is computed by subtracting from the property's fair market value the total of the unpaid mortgage balance and any outstanding liens or other debts against the property. A homeowner's equity increases as he pays off the mortgage or as the property appreciates in value. When the mortgage and all other debts against the property are paid in full the homeowner has 100% equity in the property. Equity of Redemption – The right of the mortgagor (borrower) to reclaim clear title to the property upon full repayment of the debt. Escrow - Funds paid by one party to another (the escrow agent) to hold until the occurrence of a specified event, after which the funds are released to a designated individual. An escrow account usually refers to the funds a mortgagor pays the lender at the time of the periodic mortgage payments. The money is held in a trust fund, provided by the lender for the buyer. Such funds should be adequate to cover yearly anticipated expenditures for mortgage insurance premiums, taxes, hazard insurance premiums, and special assessments. Escrow payment - That portion of a mortgagor's monthly payment held by the lender to pay for taxes, hazard insurance, mortgage insurance, lease payments, and other items as they become due. Known as impounds or reserves in some jurisdictions. Exclusive right to sell (Listing) - A written contract giving a licensed real estate agent the exclusive right to sell a property for a specified time. The owner agrees to pay a full commission to the broker even though the owner may sell the property. Fair Market Value - The price at which property is transferred between a willing buyer and a willing seller, each of whom has a reasonable knowledge of all pertinent data and neither of whom is under any compulsion to buy or sell. Fee Simple - An estate under which the owner is entitled to unrestricted powers to dispose of the property, and which can be left by will or inherited. The greatest interest a person can have in real estate. Fiduciary - A person in a position of trust and confidence for another. See below. Applies to a Listing Agent and Buyer Agent. Good Faith - always working in the Best Interest of the client. Disclosure - reveal any facts affecting the value of the property. Competenence - be informed on the relevent facts and act responsibly. Obedience - Must obey legal and ethical instructions from the client. Accountability - Must account for all monies, documents and property entrusted from the client. Confidentiality - Keep any client information entrusted confidential unless instructed to reveal it by the client. This applies after the sale or termination of the listing agreement or buyer's agreement as well. Loyalty - Always place the best interest of the client ahead of his own or others. Firm commitment - A lender's agreement to make a loan to a specific borrower of a specific property. First mortgage - A mortgage having priority over all other voluntary liens against certain property. Foreclosure - A legal term applied to any of the various methods of enforcing payment of the debt secured by a mortgage, or deed of trust, by taking and selling the mortgaged property, and depriving the mortgagor of possession. Fronting on - The side of the street where the property is located. For example: If a house is located on the EAST side of a street, it would face WEST. If it was located on the NORTH side of a street (fronting on) it would face SOUTH. Graduated Payment Mortgage - Residential mortgage which has monthly mortgage payments starting at a low level and increasing at a predetermined rate. Holdback - That portion of a loan commitment not funded until some additional requirement such as rental or completion is attained. In construction it is a percentage of the contractor's draw held back to provide additional protection for the interim lender, often in an amount equal to the contractor's profit. Holdover Period - This is a period of time,e.g. ; 120 days, after the MLS Listing has expired whereby commission is owed for any Buyers that have viewed the property prior to expiry and who then purchase during this following Holdover Period. If the Seller has engaged a new Listing Brokerage during the Holdover Period, the fees owing them for this sale are subtracted from fees agreed to with the original Listing Brokerage. Id the Seller has sold privately then all the fees are due the original Listing Brokerage. Intended to prevent Sellers unfairly avoiding fees. Index - An economic measurement that is used to measure periodic interest rate adjustments for an adjustable rate mortgage. Interest Rate - The percentage of an amount of money which is paid for its use for a specified time. Usually expressed as an annual percentage. Involuntary Lien - A lien imposed against property without consent of an owner. Examples include taxes, special assessment, federal income tax liens, mechanics liens, and materials liens. Joint Tenancy - Ownership of land by two or more persons whereby, on the death of one, the surviving tenant(s) acquire the whole interest in the property. The interest of the deceased does not transfer to the estate of the deceased and to any beneficiaries the deceased might have. The Right of Survivorship is an important aspect of joint tenancy. Land Contract - A contract ordinarily used in connection with the sale of property in cases where the seller does not wish to convey title until all or a certain part of the purchase price is paid by the buyer. This financing vehicle is often used when property is sold on a small down payment. A type of conditional sales contract. Lease - A written document containing the conditions under which the possession and use of real or personal property are given by the owner to another for a stated period and for a stated consideration. Legal Description - A property description recognized by law which is sufficient to precisely locate and identify the property without oral testimony. Lessee (tenant) - The person or persons holding rights of possession and use of property under terms of a lease. Lessor (landlord) - The one leasing property to a lessee. Lien - A claim by one person on the property of another as security for money owed. Such claims may include obligations not met or satisfied, judgments, unpaid taxes, materials, or labour. Limited Partnership - A partnership that consists of one or more general partners who are fully liable and one or more limited partners who are liable only for the amount of their investment. Listing Agreement - An oral or written agreement under which the owner appoints a real estate brokerage for a given period of time (usually 3-6 months) to sell, lease or exchange a property based on specific terms and for a specified commission. Loan - A sum of money loaned at interest to be repaid. Loan Processing - (1) A System by which a Buyer is evaluated for loan approval. The system compares the stated income, debt, savings and credit against documentation provided by the buyer (or alternative Federal documents). Calculations of Debt-To-Income, Loan-To-Value, Net Worth, Cash Reserves and Compensating Factors are used to develop and Underwriting Opinion. (2) The system of structuring a Buyer's financial situation and documentation in such a way that an Underwriting Opinion can be reached. Loan Submission - A package of pertinent papers and documents regarding specific property or properties. It is delivered to a prospective lender for review and consideration for the purpose of making a mortgage loan. Margin - The number of basis points a lender adds to the index to determine the interest rate of an adjustable rate mortgage. A basis point is one hundredth of a percentage or .01% therefore 0.5% would be 50 basis points. Marketable Title - A title that is free and clear of objectionable liens, clouds, or other title defects. A title which enables an owner to sell his property freely to others and which others will accept without objection. Metes and Bounds - A description in a deed of the land location in which the boundaries are defined by directions and distances. Outdated method and replaced by more exact means of surveying. Mortgage - A lien or claim against real property given by the buyer to the lender as security for money borrowed. Under government-insured or loan-guarantee provisions, the payments may include escrow amounts covering taxes, hazard insurance, water charges, and special assessments. Mortgages generally run from 20 or 25 years, during which the loan is to be paid off. Mortgage Broker - The licensed person who, for a commission or a fee, brings parties together and assists in negotiating contracts between them. A firm or individual bringing the borrower and lender together and receiving a commission. A mortgage broker does not retain servicing. Mortgage Insurance Premium - The payment made by a borrower to the lender for transmittal to CMHC to help defray the cost of the high ratio mortgage insurance program and to provide a reserve fund to protect lenders against loss in insured mortgage transactions. In CMHC insured mortgages this represents both a one time transaction fee plus a premium percentage based on the loan-to value ratio. The costs may be paid on closing or added into the mortgage loan. The transaction fee ranges from $75 to $235. The premium percentage is show in the table below. Homeowner mortgage loan insurance premiums vary according to the loan-to-value ratio. Premiums are subject to provincial sales tax in Ontario (8%) and cannot be added to the loan amount. Mortgage Life Insurance - A type of term life insurance often bought by mortgagors. The amount of coverage decreases as the mortgage balance declines. In the event that the borrower dies while the policy is in force, the debt is automatically satisfied by insurance proceeds. Mortgage Note - A written agreement to repay a loan. The agreement is secured by a mortgage, serves as proof of indebtedness, and states the manner in which it shall be paid. The note states the actual amount of the debt that the mortgage secures and renders the mortgagor personally responsible for repayment. Offer to Purchase - A preliminary agreement, secured by the payment of earnest money, between a buyer and seller as an offer to purchase real estate. A binder secures the right to purchase real estate upon agreed terms for a limited period of time. If the buyer changes his mind or is unable to purchase, the earnest money is forfeited unless the binder expressly provides that it is to be refunded. The Agreement to Purchase and Sale form is used for offers. Origination - The process of originating mortgages. Solicitation may be from individual borrowers, builders, or brokers. Origination Fee - A fee or charge for the work involved in the evaluation, preparation, and submission of a proposed mortgage loan. Originator - A person who solicits builder, brokers, and others to obtain applications for mortgage loans. Origination is the process by which the mortgage lender brings into being a mortgage secured by real property. Pets Restricted - Most condo by-laws allow for pets to be on premise but with limitations on size/weight and number by type. Example; maximun one dog not exceeding 20 kgs. Condos must allow service animals (seeing eye dogs). Condos can impose penalties or in extreme cases, eviction of pets if these pets "disturb the peace and enjoyment of other condo owners" (noise, aggressive behavior (snapping or biting) , smell or failure to scoop). Warning: just because you see pets in the building do not assume you can bring yours into the building. Often current owners have their pets allowed under a "grandfathering" provision because they had the pet before the pet by-laws were enacted or amended.. Alwasy check the condo documents before you purchase for these details (plus many others). On MLS, under "Pets Allowed" aside for Restricted just described , they can be prohibited entirely and thus coded "No" vs Restricted. Renters cannot contravene these rules as they so often do when they rent freehold residential property under the "protection" of the Tenancy Act. PITI (principal, interest, taxes, and insurance) - The principal and interest payment on most loans is fixed for the term of the loan; the tax and insurance portion may be adjusted to reflect changes in takes or insurance costs. Note: In cases where the buyer puts down less than 25% of the Sales Price, Mortgage Insurance may be required as part of the Total Monthly Payment (PITI). Plans and Specifications - Architectural and engineering drawings and specifications for construction of a building or project, including a description of materials to be used and the manner in which they are to be applied. Plot - A map or chart of a lot, subdivision or community drawn by a surveyor showing boundary lines, buildings, improvements on the land, and easements. Pre-closing - A transaction preceding the formal closing, often used to settle outstanding issues (survey, pest inspection, hazard insurance, flood insurance (if required), with the formal closing shortly thereafter. Principal Balance - The outstanding balance of a loan. Private Mortgage Insurance - Insurance written by a private company protecting the mortgage lender against loss by a mortgage default. G.E. Capital is an example. Quitclaim Deed - A deed which transfers whatever interest the maker of the deed may have in the particular parcel of land. A quitclaim deed is often given to clear the title when the grantor's interest in a property is questionable. By accepting such a deed the buyer assumes all the risks. Such a deed makes no warranties as to the title, but simply transfers to the buyer whatever interest the grantor has. See Deed. Real Estate Broker (Agent) - A middle man or agent who buys and sells real estate for a company, firm, or individual on a commission basis. The broker does not have title to the property, but generally represents the owner.The broker is licensed by the provincial regulatory body to trade in real estate. A broker or brokerage may be an individual, a partnership or a corporation. A common error is to refer to real estate salespeople as agents. They are actually either employees or more commonly, independent contractors, working for the broker. They can only receive payment for their services from the broker and never from the client/customer. Realtor - A real estate broker or an associate holding active membership in a local real estate board and affiliated withthe Provincial Real Estate Association and Canadian Real Estate Association (CREA) or in the case of USA are members of the National Association of Realtors (NAR). Refinancing - The process of the same mortgagor paying off one loan with the proceeds from another loan. Restrictive Covenants - Private restrictions limiting the use of real property. Restrictive covenants are created by deed and may "run with the land," binding all subsequent purchasers of the land, or may be "personal" and binding only between the original seller and buyer. The determination whether a covenant runs with the land or is personal is governed by the language of the covenant, the intent of the parties, and the law in the Province where the land is situated. Restrictive covenants that run with the land are encumbrances and may affect the value and marketability of title. Restrictive covenants may limit the density of buildings per acre, regulate size, style or price range of buildings to be erected, or prevent particular businesses from operating. Right of Survivorship - In joint tenancy, this is the right of survivors to acquire the interest of a deceased joint tenant. By default, unless expressly stated and agreed to by all parties, and only if certain conditions are met (the "Four Unities" plus a clear intent) the law assumes ownership is tenants in common. Consult a lawyer if you want more information or intend to create joint tenancy for a property. Right-of-Way - A privilege operating as an easement upon land, whereby a land owner, by grant or agreement, gives another the right to pass over land. Also known as an easement. Sale-Leaseback - A technique in which a seller deeds property to a buyer for a consideration and the buyer simultaneously leases the property back to the seller, usually on a long-term basis. Sales Agreement - See Agreement of Purchase and Sale. Sales Contract - Another name for a sales agreement, purchase agreement, etc. Not to be confused with a land contract - this is a conditional sales contract. Satisfaction of Mortgage - The recordable instrument given by the lender to evidence payment in full of the mortgage debt. Sometimes knows as a release. Secondary Financing - Financing real estate with a loan, or loans, subordinate to a first or legal mortgage. After the first mortgage, further mortgages are termed equity mortgages. Secondary Mortgage Market - The market where existing mortgages are bought and sold. It contrasts with the primary mortgage market, where mortgages are originated, and packaged for delivery to the secondary market. Servicing - The duties of the mortgage lender as a loan correspondent as specified in the servicing agreement for which a fee is received. Consists of operational procedures covering accounting, bookkeeping, insurance, tax records, loan payment follow-up, delinquency loan follow-up and loan analysis. Special Assessments - A special tax imposed on property, individual lots or all property in the immediate area, for road construction, sidewalks, sewers, street lights, etc. Special Lien - A lien that binds a specified piece of property, unlike a general lien, which is levied against all one's assets. It creates a right to retain something of value belonging to another person as compensation for labour, material, or money expended in that person's behalf. In some localities it is called "particular" lien or "specific" lien. Special Warranty Deed - A deed in which the grantor conveys title to the grantee and agrees to protect the grantee against title defects or claims asserted by the grantor and those persons whose right to assert a claim against the title arose during the period the grantor held title to the property. In a special warranty deed the grantor guarantees to the grantee that he has done nothing during the time he held title to the property which has, or which might in the future, impair the grantee's title. Survey - A map or plot made by a licensed surveyor showing the results of measuring the land with its elevations, improvements, boundaries, and its relationship to surrounding tracts of land. A survey is often required by the lender to assure him that a building is actually sited on the land according to its legal description. Tax - As applied to real estate, an enforced charge imposed on persons, property or income, to be used to support the Government – Federal and/or Provincial and/or Municipal. The governing body in turn utilizes the funds in the best interest of the general public. Tax Lien - A claim against property for the amount of its due and unpaid taxes. Tenancy - A holding of real estate under any kind of right of title. Tenancy At Will - A holding of real estate that can be terminated at the will of either the lessor or the lessee, usually with notice. Term - The period of time between the commencement date an termination date of a note, mortgage, legal document, or the contract. Title - As generally used, the rights of ownership and possession of particular property. In real estate usage, title may refer to the instruments or documents by which a right of ownership is established (title documents), or it may refer to the ownership interest one has in the real estate. Title Insurance - Protects lenders or homeowners against loss of their interest in property due to legal defects in title. Title insurance may be issued to a "mortgagee's title policy." Insurance benefits will be paid only to the "named insured" in the title policy, so it is important that an owner purchase an "owner's title policy", if he desires the protection of title insurance. Title Search or Examination - A check of the title records, generally at the local courthouse, to make sure the buyer is purchasing a house from the legal owner and there are no liens, overdue special assessments, or other claims or outstanding restrictive covenants filed in the record, which would adversely affect the marketability or value of title. Trustee - A party who is given legal responsibility to hold property in the best interest of or "for the benefit of" another. The trustee is one placed in a position of responsibility for another, a responsibility enforceable in a court of law. Underwriting - The analysis and matching of risk to an appropriate rate and term. Usury - Charging more for the use of money than allowed by law. Federal laws in Canada prohibit rates exceeding 60% per annum. Variable Rate Mortgage - A mortgage agreement that allows for adjustment of the interest rate in keeping with a fluctuating market and terms agreed upon in the note. Warehousing - The holding of a mortgage on a short term basis pending either a sale to an investor or other long term financing. Zoning Ordinances - The acts of an authorized local government establishing building codes, and setting forth regulations for property land usage.